I am closing in on 500 blog posts and wanted to lead up to the big one with some great wines. This one happened to be a gift from a mate so I felt obliged to open it up and let it rip with some juicy Sirloins and grilled corn. For post #497, it seemed the right thing to do and I was not disappointed. I was amazed at how dark and dense the wine was in my glass, but it made sense when I had the first whiff. 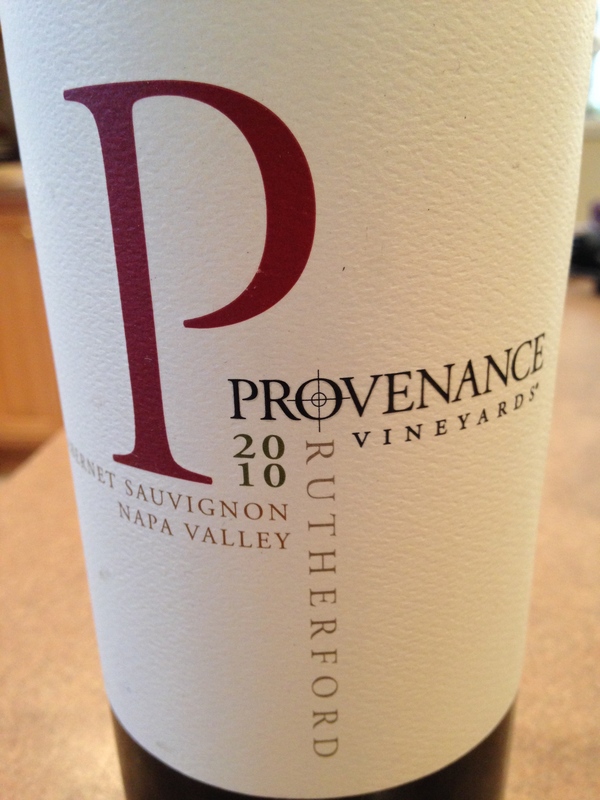 A brooding nose of black fruits combined with the dark inky purple color set the stage for this Rutherford Cabernet. Napa style fruit of plums, black berries, chocolate shavings and a touch of heat. Silky tannins and juicy acidity made this an absolute delight to drink. I initially made a 90 point note, but then added that it had a drinking window of 2014-2025 because the wine really opened up and showed off its mouth coating muscles. The grip of these fine tannins was amazing and the finish lasted a good 30 seconds. I upped my score to 92 and did some research. It sells for about $35. That is a steal in my book for top quality Napa Cabernet and I need to stock up on this wine. It rocks a steak and would even sort out a heavy pasta dish or some barbecue. 5 stars from me. Salut…. Thanks for sharing. Big Provenance fan here!